We Did It Again... 4th Carrier President’s Award In A Row! Since 1995, Irish Air Heating & Cooling has provided only the highest quality comfort services. In addition to our quality services, we want to make sure you can afford comfort. Check out our deals! Enjoy perfectly cool indoor temperature no matter hot or humid the weather. Keep Warm In The Winter. We answer the demands of local weather with energy efficient, reliable, and easily managed heating systems. Heat pumps provide both heating and cooling, handling year round comfort demand. Breathe Easy In Your Home. Through state-of-the-art technology and proven methods, Irish Air can develop a custom strategy for indoor air improvement. Irish Air Heating & Cooling puts over fifty years of experience to work for our customers in central Indiana. As a third generation, family owned and operated local business, it’s our goal to provide friendly, professional, and timely heating, cooling, and air quality service. Our team is factory trained, NATE-certified, consistently updated, and strive to be technically excellent. Contact Irish Air Heating & Cooling at (317) 636-0357 for installation, seasonal maintenance, or repair, and we’ll answer with uniformed specialists, equipped with leading-edge technology, who know what they are doing and how to solve problems. 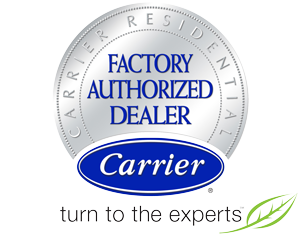 Qualified as a Carrier Factory Authorized Dealer through the consistent demonstration of technical expertise, higher standards of customer service, and business ethics, Irish Air Heating & Cooling has been further recognized with the Carrier’s President’s Award for three consecutive years. Save up to $1650 in rebates with up to 60 Months Financing on a qualifying Carrier system. Call today for full details. No Matter What the deal, we’ll match it! If they do a repair we send you $20 or if they do a replacement we send you $100. Call today for full details. For all your HVAC maintenance needs, call the team from Irish Air! We take great pride in keeping your home green and clean, and through personalized recommendations and superior products, achieve greater energy efficiency, year round comfort, safety, and system reliability. Handling a full range of services for boiler heating, furnaces, heat pumps, air conditioning, air quality accessories, and more, Irish Air Heating & Cooling is ready for any temperature control challenge across Southport, Greenwood & Franklin, IN.